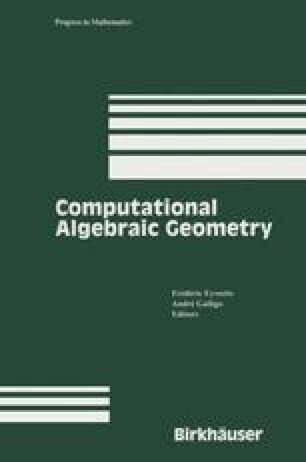 Given two finite-dimensional non-commutative finitely presented algebras A and B over a field k, this paper presents two algorithms for deciding whether or not they are isomorphic as k-algebras. We reduce this problem to a radical ideal membership problem in a commutative ring, by Hilbert’s zero point theorem. That is, A and B are isomorphic if and only if the determinant f of a k-linear mapping: A → B does not lie in the radical of an ideal I derived from the relations of A and B. Moreover an efficient technique for computing f is provided. We propose two Gröbner basis methods for solving our problem. One is to compute the radical of I directly and then to rewrite the above determinant f modulo this radical. The other method is to judge solvability of a certain system of algebraic equations: the union of I and a new polynomial. As a result, it is shown that the isomorphism problem for finitely presented algebras is decidable.